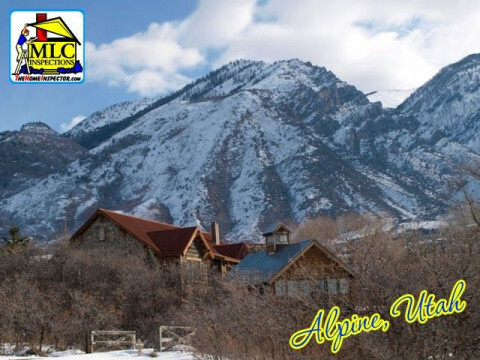 Click/tap here to find the best Utah home inspector for your needs! Surety Inspection Services is ready to help you in purchasing a home in Salt Lake County, Utah County, or neighboring counties. We offer the latest thermal infrared testing and can check for radon, meth, carbon monoxide, asbestos, lead, and mold. We are bonded and insured and use the SupraKEY for your convenience. We personally do a walk-thru with you and issue a comprehensive report. Each report includes an easy-to-read summary. We also show you the good aspects of the home! Your home purchase in Utah is probably one of the biggest decisions you will ever make. As an InterNACHI- Certified Professional Inspector, I urge you to protect your investment and protect your family by hiring me. I’m proud to bring my expertise and ethical standards to every inspection I perform, and I promise to do my best job for you. As your preferred Home Inspector, I have over 30 years of building construction experience so you can rest assured that with my experience and attention to detail, our home inspection is the one you will want. 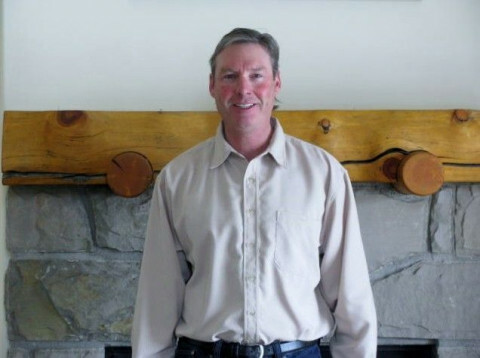 Having lived in Salt Lake City, Park City and Heber City, let me put my local knowledge to work for you. To further educate you about your investment and to help protect your family I will be giving every customer a Free Home Energy Report and a discounted Radon test with every Home Inspection. 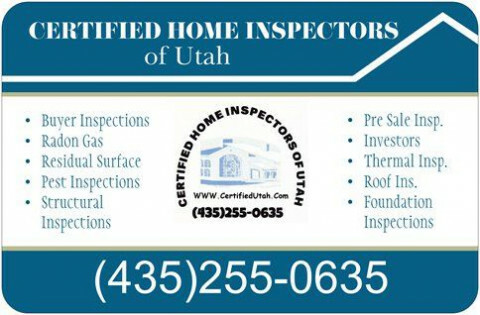 Providing a complete home inspection for buyers and sellers in Utah. 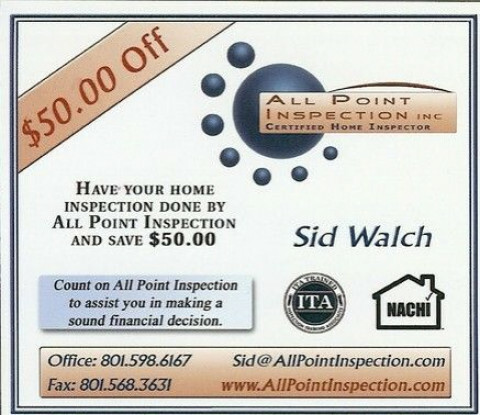 Let All Point Inspection help you make a sound financial decision. ITA Trained and NACHI Certified(National Association of Certified Home Inspectors) Mold, Radon, Termite and Meth tests Also Available. Brighton Home Inspections. Servicing northern Utah. Ask us about our free Home Warranty! We use professional, certified and courteous inspectors. PPi - A Property Inspection Co.
Full service inspection company. Certified and INSURED inspectors. Full Service Residential Home Inspection. Professional, courteous, first time buyer friendly, competitively priced. Quality Home & Commercial Inspections Done Right. We provide high quality home inspections, energy audits and efficiency-minded green remodels.